As the first ten pages of a script become more and more important, here's a good tip: start with one simple and clear dramatic situation to entice the reader into the world of the story. This means you can open with a character, or a car crash, or whatever you like (deftly avoiding cliche, of course) but establish a dramatic or intriguing opening sequence to begin the story. This helps to create pace and interest, while also introducing character through action (rather than dull scenes or unnecessary exposition). 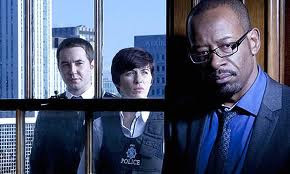 Let's take a look at Jed Mercurio's opening to Line of Duty. Full script available to download at BBC Writers' Room. The script's opening lines of description, over titles: "Eerie dawn light, dark figures moving stealthily into position, vehicles rolling into place." The script's first line of dialogue: "Units en route. Flat 56, Regal Court. Vehicles en route. Forward units arriving Regal Court." The dialogue exchange builds to the moment where "Alpha is in the building". The action then cuts to a police raid, but with tight and terse visual description: "A fire door bursts in. Muzzles of high-velocity rifles jab through. Then come 6 burly blokes in bullet-proof vests. They charge up dirty concrete steps." Immediately, the script is visual and pacey, and creates little effort for the reader to get into the tone and flow of the piece. The opening sequence builds the tension of the raid so that Arnott, the protagonist, must make a difficult decision to follow a 'shoot to kill' order. Crucially, tragically, the police get it wrong, and Arnott races to the scene, realising they targeted the wrong flat. "Arnott doesn't know whether to scream or cry". The script's first ten pages are tense, pacey and visual but all focused around one simple and clear dramatic situation to entice the reader into the world of the story. We also learn a fair bit about our lead character through his actions without actually being told anything about him (indeed, he's just described as DETECTIVE SERGEANT STEVE ARNOTT, late 20s). 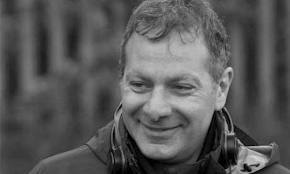 Skilful screenwriting from Jed Mercurio. Look at his pleased face. If the opening sequence to your script isn't fast-paced or action-based, then, on a basic level, try to have the character want something but not get it, and for this to have a knock-on effect for what happens in the first ten pages.